Look how little these kids were! Spring time in Chicagoland! Notice the MUD! We used to get so mad that the utility trucks who would drive in "our" vacant lot next door, and mess up "our" mud. Didn't they realize how messy it makes "our" vacant lot look? The nerve! 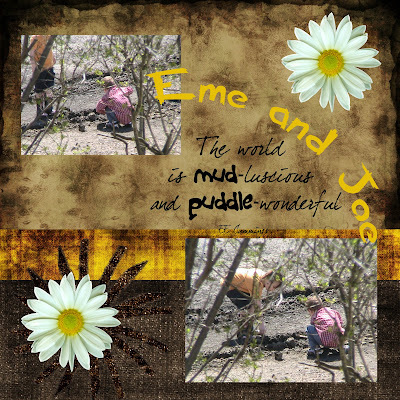 Here's Eme and Joe discovering the joy of mud and dirt!